Winter Olympics: what if Park City’s weather is as mild as 2018? Deer Valley Resort, a ski racing and freestyle skiing venue during the 2002 Winter Olympics, would be expected to have a role in a future Games, perhaps in 2026 or 2030. Experts say a warm, relatively dry winter like the current one would not threaten Olympic events in Park City, but there could be issues at Soldier Hollow if the conditions were similar. It is just days before the Winter Olympics of 2026 or 2030 are scheduled to start in Salt Lake City, and Park City is suffering through a warm, relatively dry winter. There is limited snow in the higher terrain and none at the lowest elevations of the Park City area. Just like the winter of 2017-2018 thus far. The Olympic region of Utah is experiencing one of the mildest winters in a generation, at the same time officials continue to discuss the prospects of bidding for a second Winter Games. An Olympic exploratory committee next week is expected to release an important report regarding a bid. It appears an Olympics could be pursued as soon as the 2026 event. Salt Lake City would be the host while Park City would play an important role, as it did during the 2002 Winter Olympics. If Salt Lake City is selected to stage the Olympics in 2026 or 2030, and those winters are as mild as this season, the mountain vistas might not be as scenic as they would be if they were covered with snow. 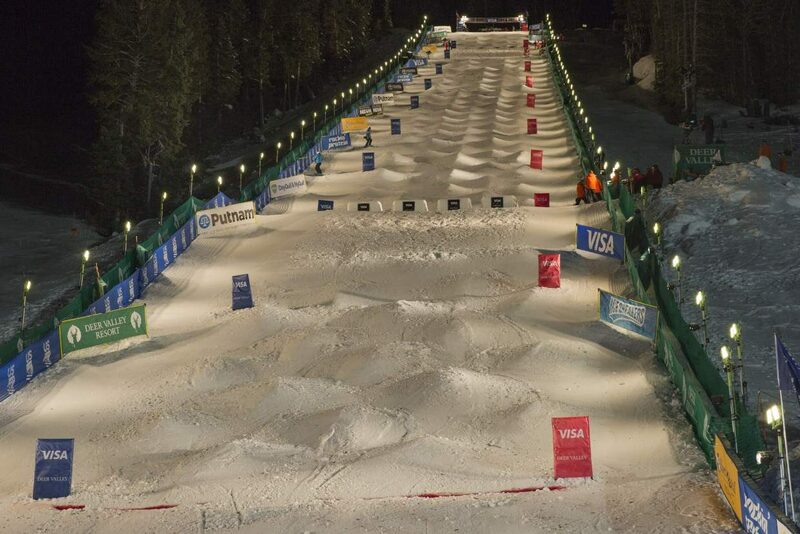 It is almost certain, though, the competitions scheduled in Park City would continue as planned, experts say. But there could be issues in Wasatch County, at Soldier Hollow, under that scenario, they say. 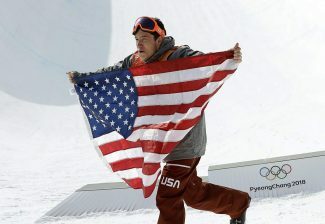 It is not clear what events would be staged in Park City in an Olympics. It seems likely the schedule would be at least similar to the one during the Winter Olympics in 2002, when Park City Mountain Resort hosted ski racing and snowboarding competitions, Deer Valley Resort was the home to ski racing and freestyle skiing contests and the Utah Olympic Park held the sliding sports and ski jumping. If the lineup of a Games in 2026 or 2030 resemble the one in 2002, the venues would likely be ready for the athletes at the opening of the Olympics even if the winter was mild up until then, the experts say. “We have skiing, don’t we? We’re skiing,” said Jim Steenburgh, a professor of atmospheric sciences at the University of Utah whose work includes research into the snowpack and winter weather in the western U.S.
Steenburgh, who developed computer forecast models for the Olympics in 2002 and attended the 1998 Winter Olympics in Nagano, Japan, on a fact-finding mission, said the venues in Park City would be prepared. He said the resorts’ snowmaking operations could prioritize the Olympic terrain, as an example. “If we were doing the Games this year, we would be able to put on an Olympics,” he said. 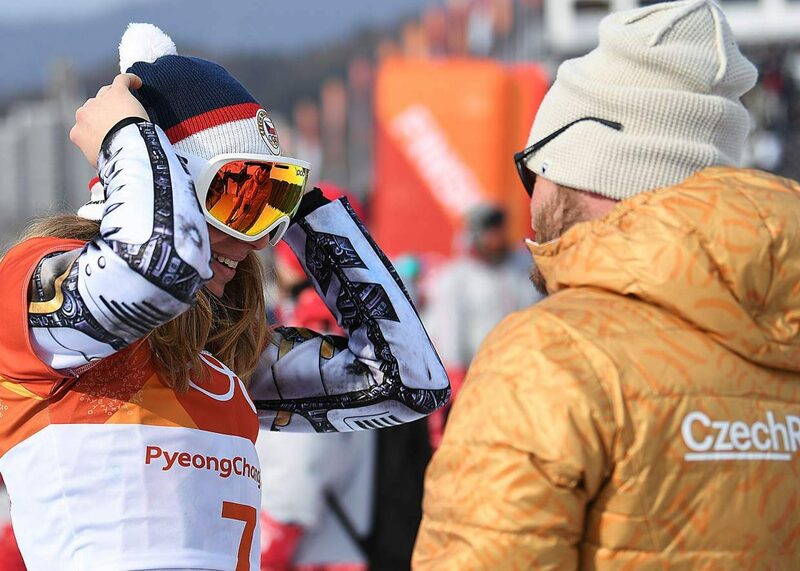 Steenburgh said the Beijing region, the host of the Winter Olympics in 2022, receives limited snow, requiring expansive snowmaking in the skiing venues. An Olympic city can stage the skiing events without natural snow if there is adequate snowmaking infrastructure and temperatures cold enough to operate the systems, he said. “For the Olympics themselves, you don’t need any natural snow,” he said. The weather this winter has been both warm and relatively dry, leaving skiers longing for a string of storms that would deliver powder conditions. The National Weather Service reports the snowpack at between 8,500 and 9,000 feet in elevation in the Park City area ranges from between 50 percent and 60 percent of average. The numbers are similar in the wider Wasatch Mountain region with the totals slightly higher in the northern part of the range, according to the National Weather Service. 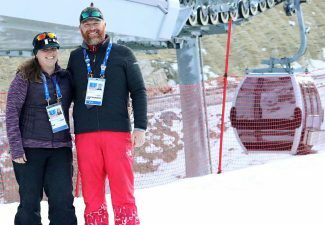 Brian McInerney, a National Weather Service hydrologist who closely tracks snowpack, said the conditions of this month would not threaten Olympic events in Park City if they were similar to those in 2030. “Between snowmaking and the amount of snow that’s fallen, it’d be OK,” he said. By 2030, though, he said there will be further concern in the Olympic region about the effects of a changing climate on the venues. McInerney said there will be worries about warming temperatures, snow melting earlier than it does nowadays and high-pressure patterns that send storms to the north of the area. During the first two weeks of February of 2017, regional temperatures were, on average, 16 degrees above normal, he said, explaining the unusual warmth that month melted the snow below an elevation of 7,000 feet. “2030 is going to be significantly warmer, overall, by 2018 standards,” McInerney said. 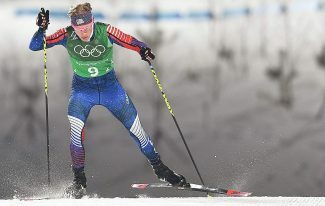 Soldier Hollow, which hosted cross-country skiing and Nordic combined competitions in 2002, is the most vulnerable of the outdoor Olympic venues, Steenburgh said, basing the assessment on the lower elevation. There have been race cancellations at Soldier Hollow this winter as the lack of snow coupled with snowmaking issues forced the athletes elsewhere. 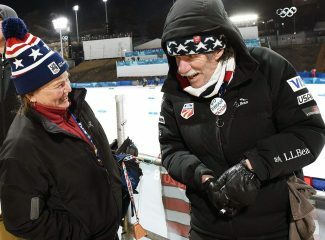 McInerney said it would be difficult to move the Olympic cross-country skiing venue to a higher elevation, where there would be a better chance of retaining snow through February. He said European athletes train for events at roughly the altitude of Soldier Hollow. “You can’t just make a Nordic track up high,” he said.